Six unwaveringly honest American teens describe what life is like for them as members of the transgender community in this Stonewall Honor book. 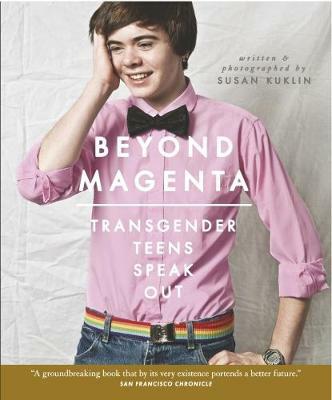 Author and photographer Susan Kuklin met and interviewed six transgender or gender-neutral young adults and used her considerable skills to represent them thoughtfully and respectfully before, during, and after their personal acknowledgment of gender identity. Portraits, family photographs, and candid images grace the pages, augmenting the emotional and physical journey each youth has taken. This book was published to critical acclaim in the US, where it was selected as a Stonewall Honor book. This new edition includes information on treatment, and service and advocacy organisations specific to the UK.